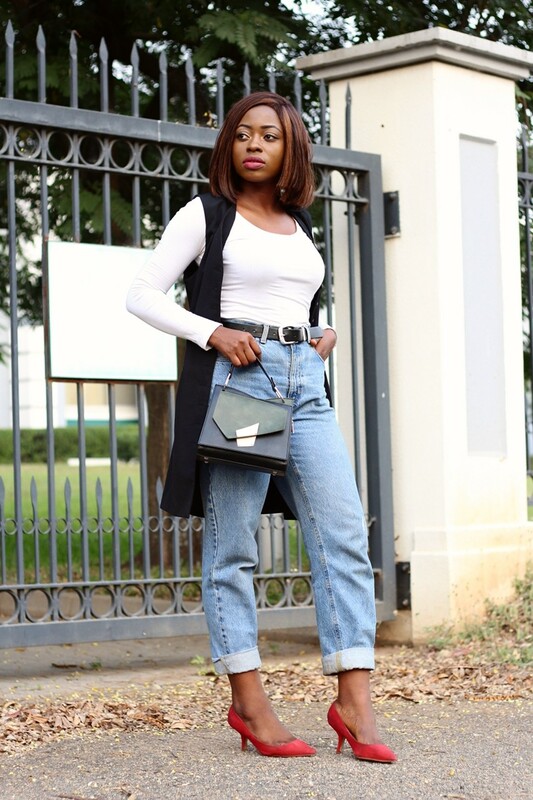 Mom jeans are such closet staples in everyone's wardrobe. It's quite interesting really, how something synonymous to moms looking somewhat unattractive, has somehow taken the fashion world by storm. Now, I don't know about you but I really don't mind. 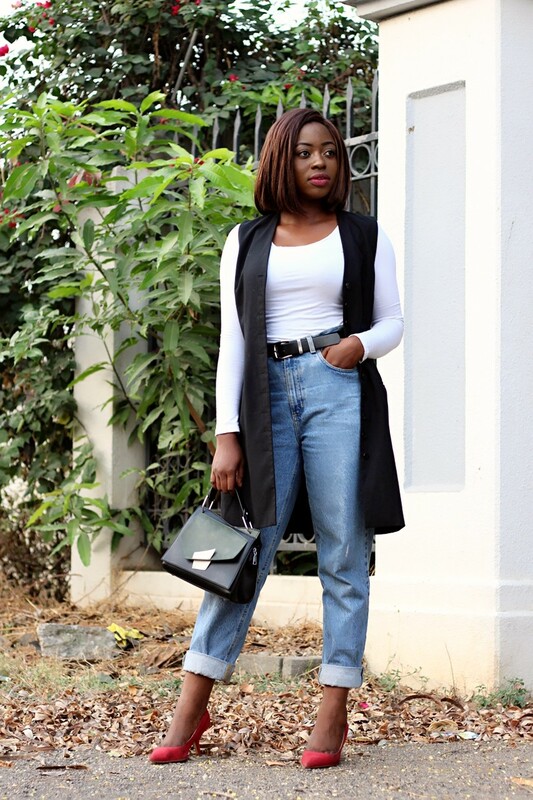 I'm all for modest and comfy fashion which is why mom jeans have become my go-to fit. I've even tossed my skinny jeans aside and put this pair on repeat. 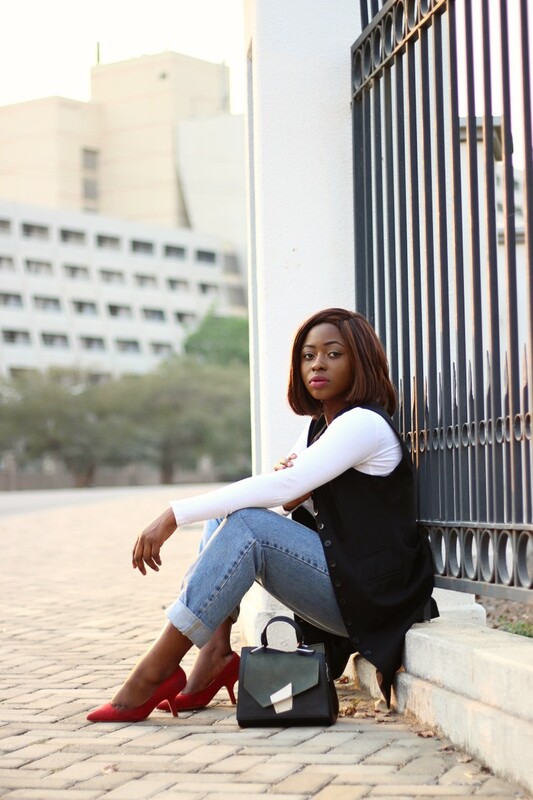 And today I'll be showing you three ways to style your jeans from retro to weekend ready and corporate casual. 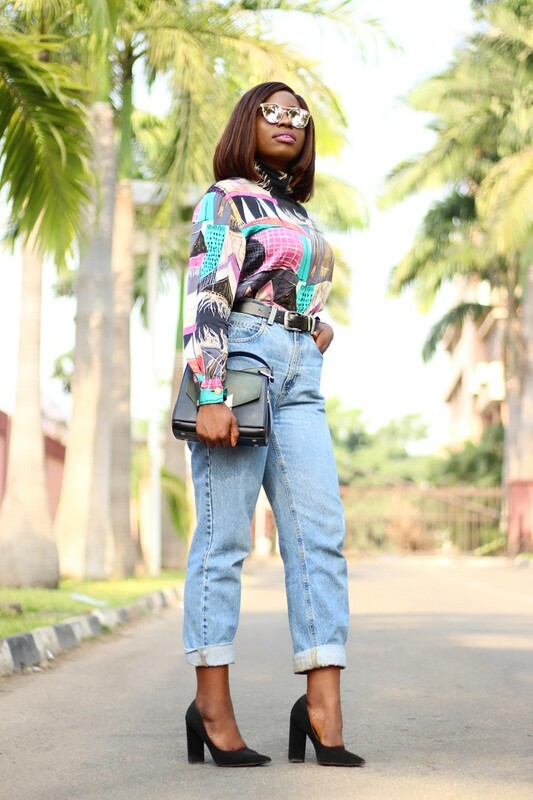 My mom jeans were a thrift buy from the Vintage Closet 9ja, based in Abuja. It only cost me 4,000 naira ($10). However, for cheaper bargains take a trip to Wuse Market and thrift a pair for half the amount I spent. 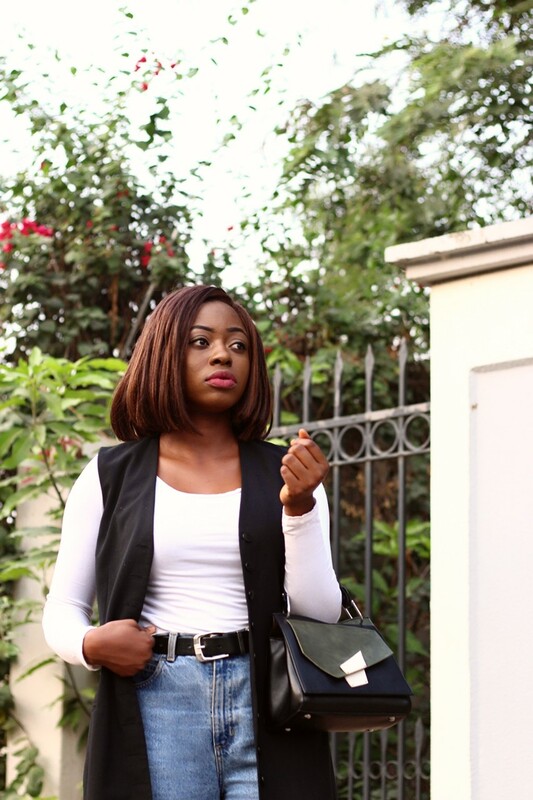 These jeans have previously been styled here and here. I decided to go for a retro look which was inspired by Grace of Gafashion actually. 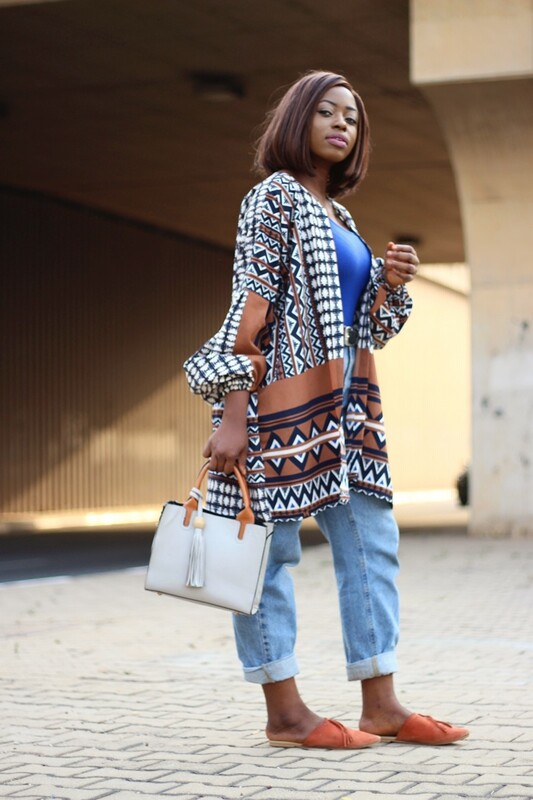 I simply wore my vintage shirt styled here backwards and opted for block heels. 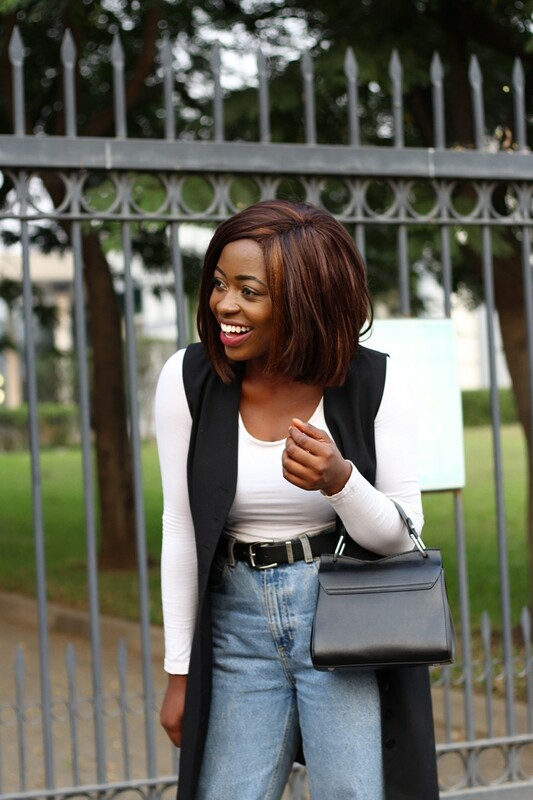 This look would work great with sneakers too and make for a perfect weekend look. I'd most likely wear this to a casual get together with friends or even a lunch date. 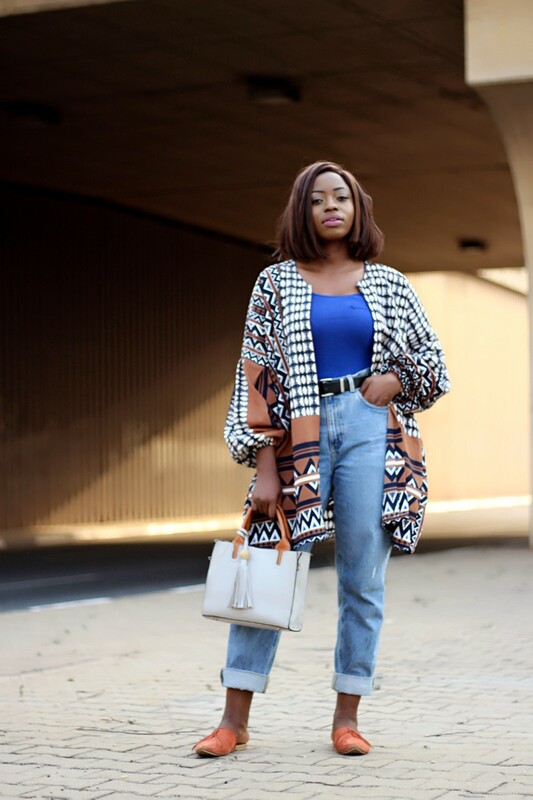 This look is my typical weekend style, a kimono (styled here) which offers a relaxed fit and my mules for comfort. It's quite interesting how much I hated mules before and even wanted them to be left in 2014 but look at me now. 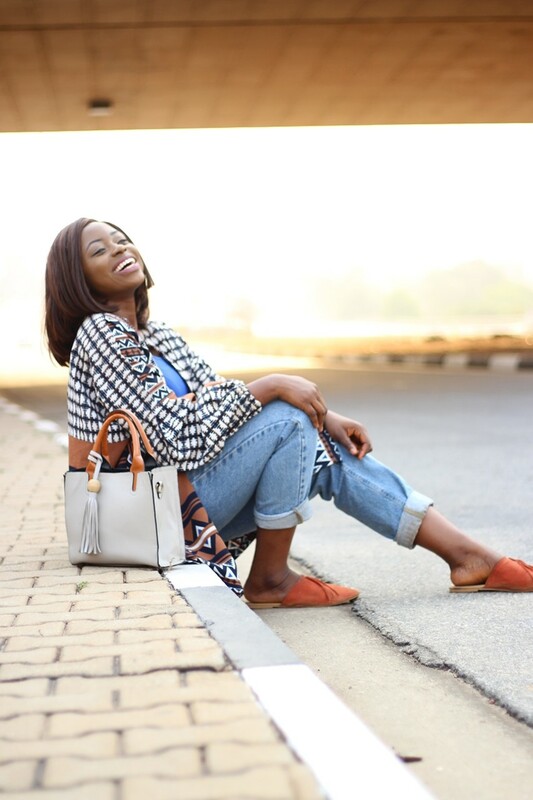 This look features two pieces made by Nigerian designers, the Kimono originally a part of a two-piece set and the mules. I'd wear this to run errands or to a casual outing. 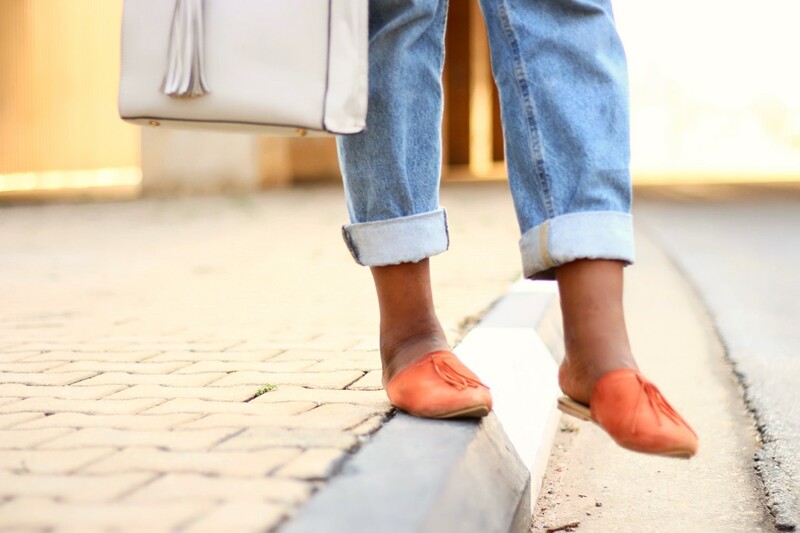 A simple change of shoes to heels would instantly dress up the look. Also removing the kimono and only opting for the singlet would make for a date night look especially with the addition of strap sandals. 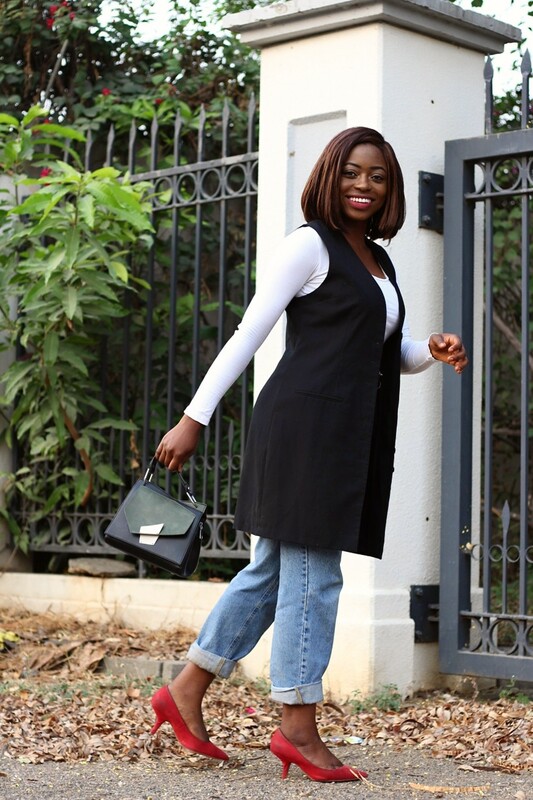 I opted for a smart casual look by pairing closet basic essentials like a white shirt, vest previously styled as a dress here and red pumps. Depending on where you work, this could make a good smart casual look. 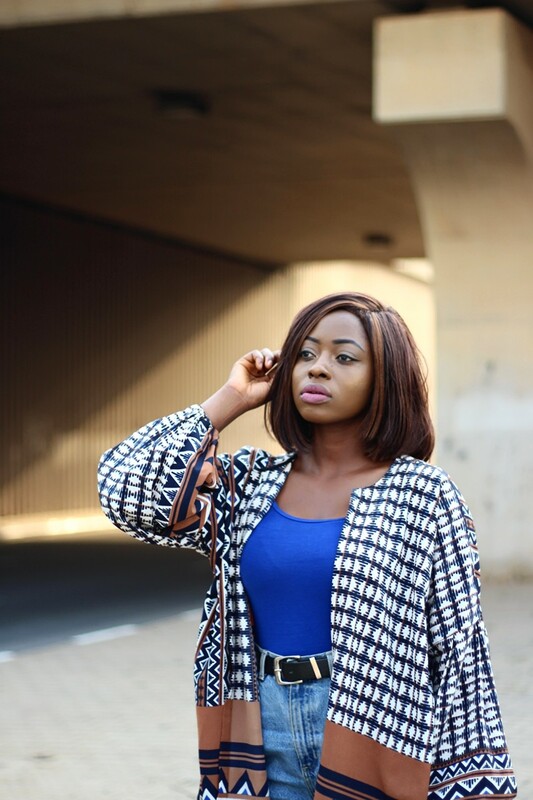 You could always opt for a proper blazer and it will instantly make this look even more dressy. 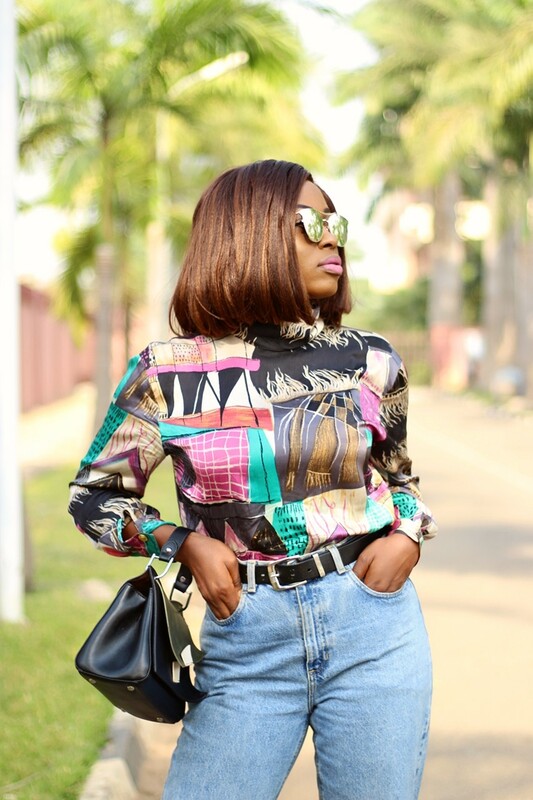 Other ways to style your mom jeans would be to pair it with a graphic shirt like I did here or opt for an off shoulder top for a more flirty look. What is your favourite look and why? Did you enjoy or find this post helpful? One of my goals for this year is to create more lookbooks so please let me know guys, as such posts take more time to create too. What item would you like me to style next? I was so sure I had posted my comment. You look amazing and you slayed this outfit, this reminds me of that time we did style swap,remember? I’m more of look one kind of girl. Overall all outfits work well with choice of accessories. You look good in all these outfits Sarah. Great effortless styling!! Me likey a lot. Love all the looks but look 2 is definitely my favourite! 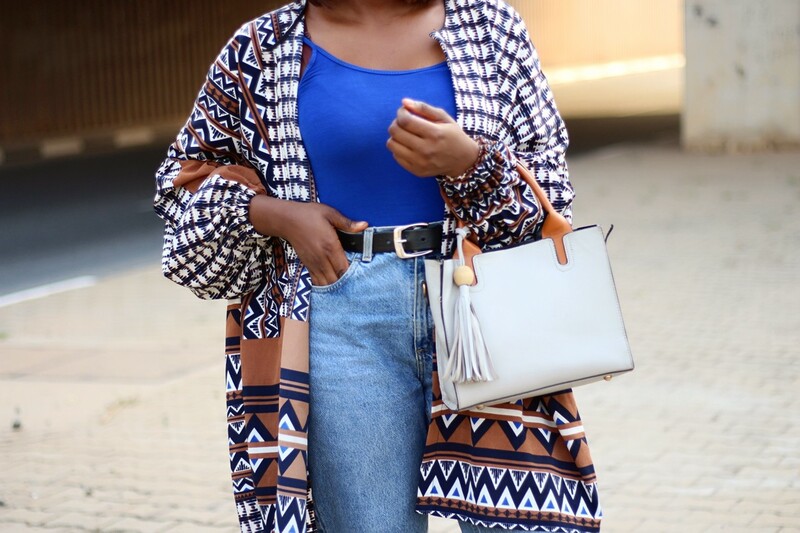 The kimono is so beautiful because of the prints and it's so laid back. It Gives me summer vibes. 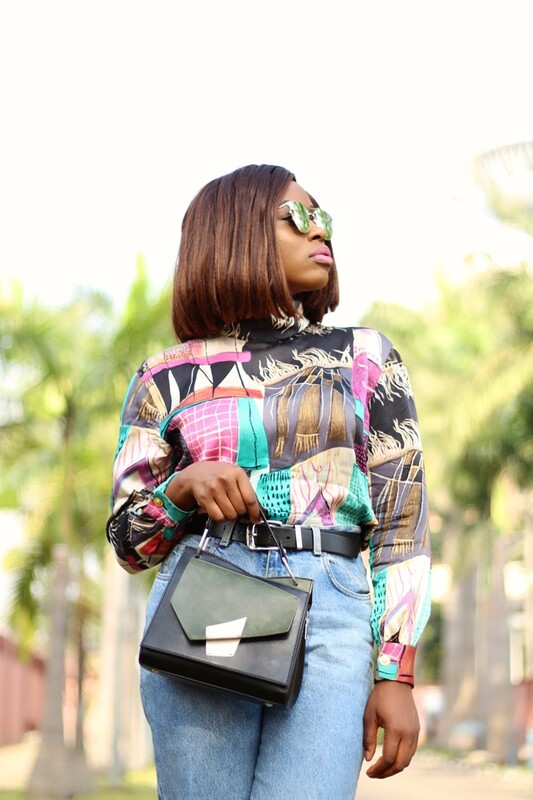 Speaking of prints, I'd love to see you wear more prints! I love all three! 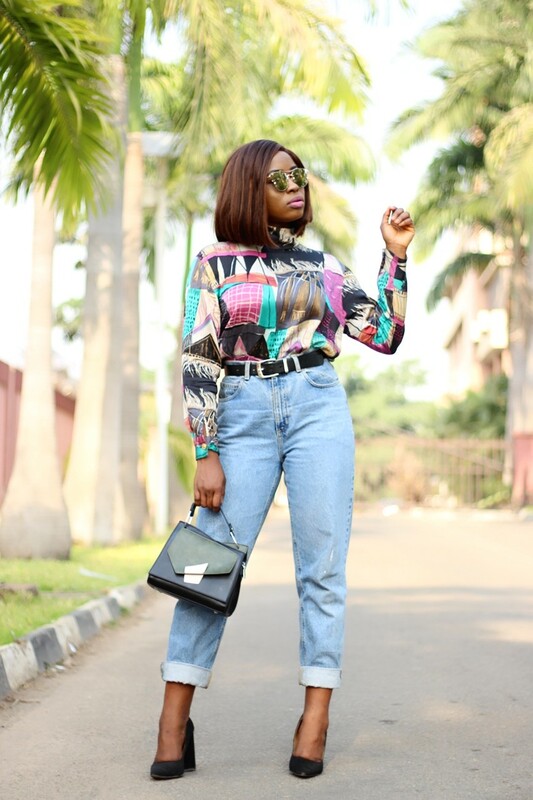 I would be styling my grandma jeans the first two ways! @Grace Alex, yeah girl, I later noticed your first comments in my spam folder, happens sometimes. Thank you, I remember those style swap days too. @Vincent Desmond , right! Fashion can be so funny at times, always making unfashionable trends suddenly fashionable. I'd love to see how you pull mom jeans on, should be interesting. @Linda Otiende, I'm more of a look three type of girl too. Thanks for stopping by, it's been a long time and thank you. Have a blessed week as well. @Collins Badewa, it definitely does give summer vibes Collins, this would be my go-to for weekend er rads. And I do intend to wear more prints, thank you. 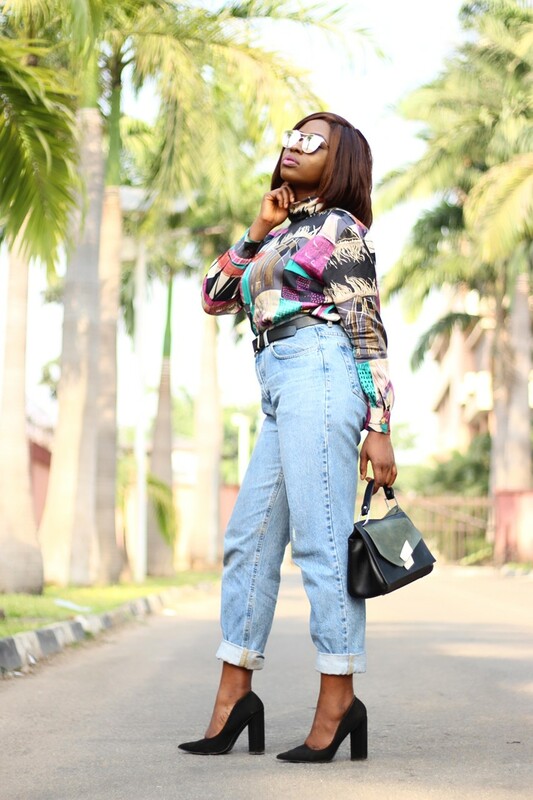 @Emete Smart , yaya glad it inspired and lol is it grandma or mom jeans? Love all the styles! especially the second one. I love all the looks but the first and the last look win my heart. 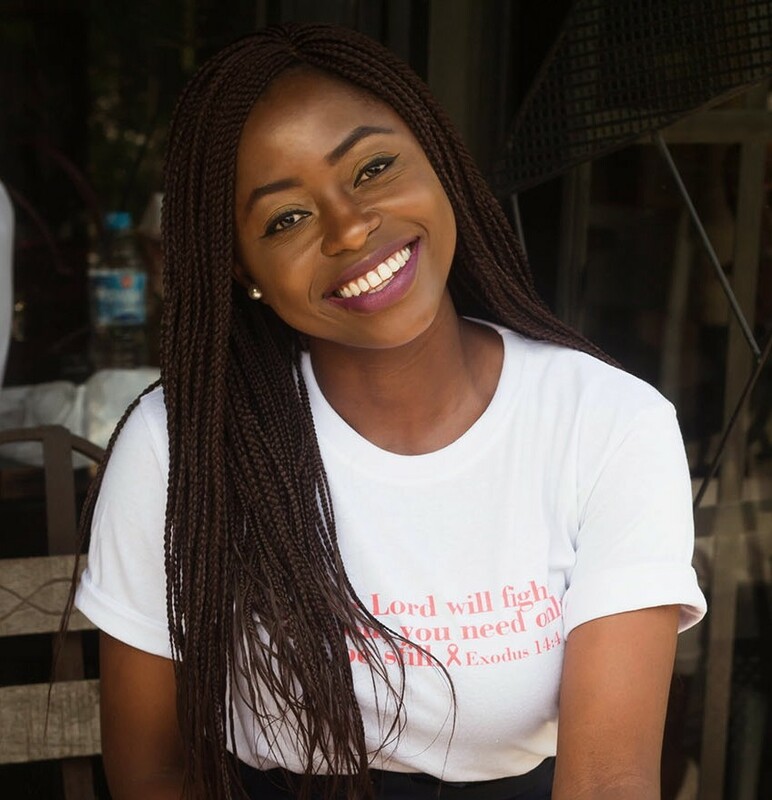 @oreoluwa @Dominika thank you so much! soooo nice, I love the three looks!